Hi all, I got home late last night from an amazing weekend with lovely ladies at a Beth Moore conference in Calgary. It truly was incredible worshiping with thousands of other ladies and listening to Beth teach on God’s word. Here’s the only picture I took the entire weekend! In case you missed last week’s guest post from Tammy at Skinny Mom’s Kitchen on How to Organize Your Weight Loss, I highly recommend checking it out. So much helpful information! 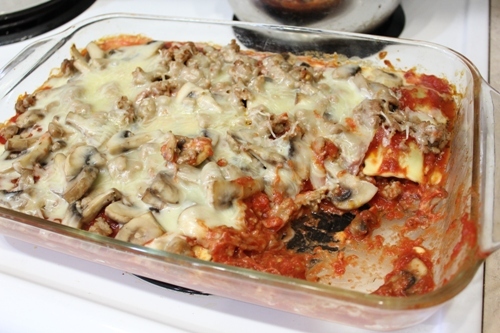 Last week’s recipe highlight goes to the Do-Ahead Ravioli Sausage Lasagna. I did make a few changes to it though. First I used fresh ravioli instead of frozen and on the last layer added some sauteed mushrooms (yum!) with a little bit of water to accommodate for the fresh over frozen ravioli. I also used turkey sausage instead of the Italian pork called for. It was super delicious!! WHAT’S ON YOUR MENU THIS WEEK? JOIN US! More family favorite recipes here. I love Beth Moore. I’ll bet that was one wonderful time! Looks like a yummy week at your place!! I’ve done 2 of Beth Moore’s bible studies. Such an inspiring woman! The baked ravioli sounds delish – will have to try that soon. Just linked to my menu plan and make ahead action plan. 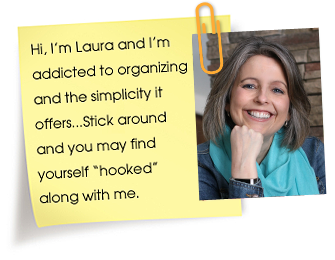 Have a great week Laura! And thanks again for letting me guest post on your awesome blog. What a great opportunity you had to hear Beth Moore and be refreshed that way. The baked ravioli looks great and I’m adding the chicken teriyaki to my slow-cooker pinboard for sure! I’ve heard great things about Beth Moore. There’s something truly wonderful about worshiping with such a large group of believers! Maybe it’s a tiny glimpse of heaven. Thanks for hosting! Ravioli as a casserole sounds so interesting. Might check out your crockpot chicken teriyaki too! Glad you had such an uplifting weekend! Your entire menu sounds delicious, especially the ravioli lasagna from last week. Howdy….I am linky person 130 and this is my first time doing the link thing. Where it said name, I put in my name (silly me) and not the name of my page. If you can edit it to say “Budget Challenge Menu Plan” it would be awesome. If you can’t, I’ll chalk it up to a learning experience. I did the same thing when I went to a Beth Moore convention. I was so excited to be there & listen to her live that I took tons of notes, but not a single picture. Hi Laura, I am so glad you are going to try the teriyaki chicken recipe, I hope you like it! I was at Beth Moore this weekend as well! Such a great weekend. She is so inspiring and the worship was awesome!! Wasn’t it so amazing! To worship with so many ladies will be something I never forget! Oh I’d love to hear more about your retreat. I’m sure it was fabulous. I used to go to the Women of Faith conferences and it was always so awe inspiring to worship with some many other women. Truly amazing. So glad you had a good time. Thanks for relinking the SkinnyMom post. I did miss it the first time! Good stuff. 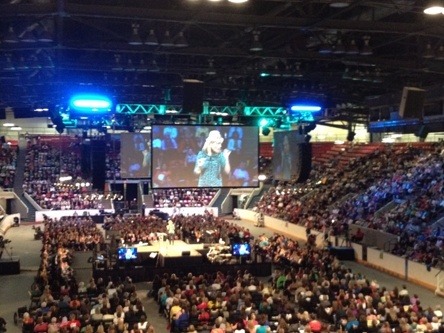 Man, I wish I’d known Beth Moore was in Calgary! How did I miss that? I don’t think I saw one advertisement around here for it. We could have met up. Thanks so much for sharing our Baked Mac & Cheese! Looks like an amazing time you had in Calgary!